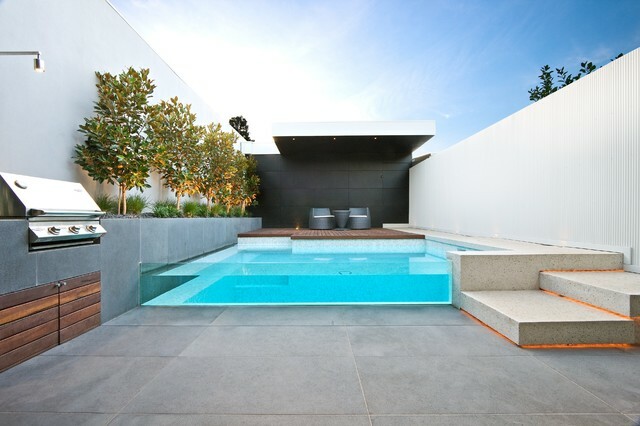 Melbourne Bluestone supplied by Eco Outdoor. What sort of decking is this? does it leech into pool? 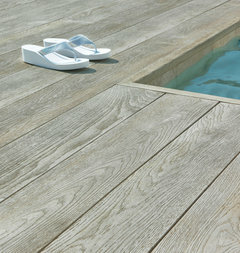 for an option that doesn't leach and wont need any oiling take a look at Millboard Decking. ...No timber fibre! Glass pool wall...maybe steps to lower level fire pit deck??? Shade, lighting, backdrop, and glass pool barrier.